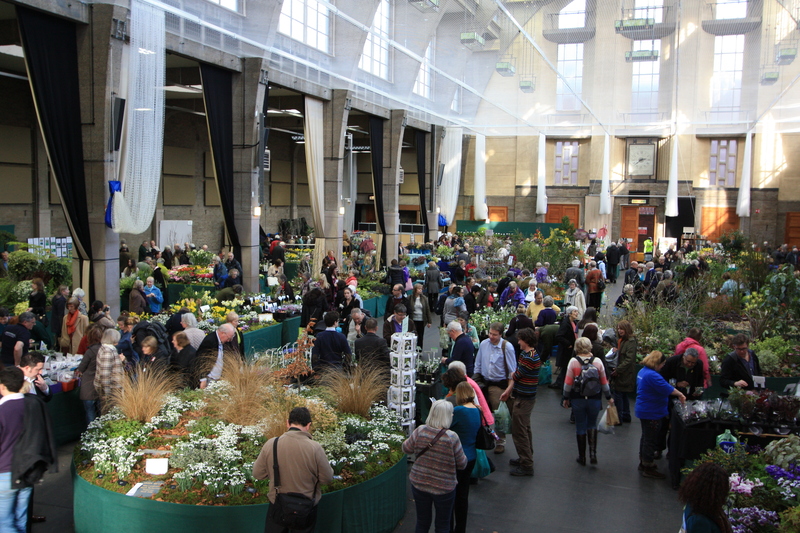 This year’s RHS London Plant and Design show occupied both Lindley and Lawrence halls. As pieces of architecture both buildings are unusual and really rather fabulous. The light, airy Lindley Hall was the constructed at the behest of Edward VII, who encouraged the Royal Horticultural Society to build a bespoke exhibition space for their regular shows. The hall was designed by Edwin J. Stebbs with a brief to allow in as much natural light as possible. Delighted with the elegant architecture, the King opened the venue on 22 July 1904 alongside the Society’s patron Queen Alexandra. Whatever the weather outside, the diffuse light in the hall always makes the most of the exhibits, without baking the plants alive or dazzling the judges. The Lawrence Hall (above) was constructed a little later to designs by Easton and Robertson. It was completed in 1928 using reinforced concrete, rather than the red brick and dressed stone used for the Lindley. The Art Deco interior played a part in the hall winning a gold medal from the Royal Institute of British Architects. The building is now listed Grade II* and the nets are there to protect the marvellous ceiling lamps from damage when the hall doubles as a school sports venue. Both spaces have a wonderful atmosphere on show days. A pervading scent of floor polish and freshly cut greenery is discernible the moment one crosses the threshold. At lunchtimes especially the friendly crowd of visitors fills the space with a comforting hum. For this show the more often used Lindley Hall was deployed for the faintly disappointing ‘design’ event. This principally constituted a central glasshouse which was filled with aloes, aeoniums and neon tubes nestling in a landscape of a what appeared to be baking beans. This was a ‘participatory installation’ designed by Cityscapes, which asked (/ begged) the questions: What is garden design? What is it for? What is the substance behind the style? I declined an invitation to write my answers on a pane of glass, but had a lovely chat about the weather with one of the volunteers, which I felt was a much more British response! Representatives from the design school stands circling the perimeter of the hall had my sympathy; I am sure they’d have preferred to be across the road amongst the snowdrops and irises, which is where I headed, pretty swiftly. The outstanding exhibits in the Lawrence Hall were strategically located at the front. 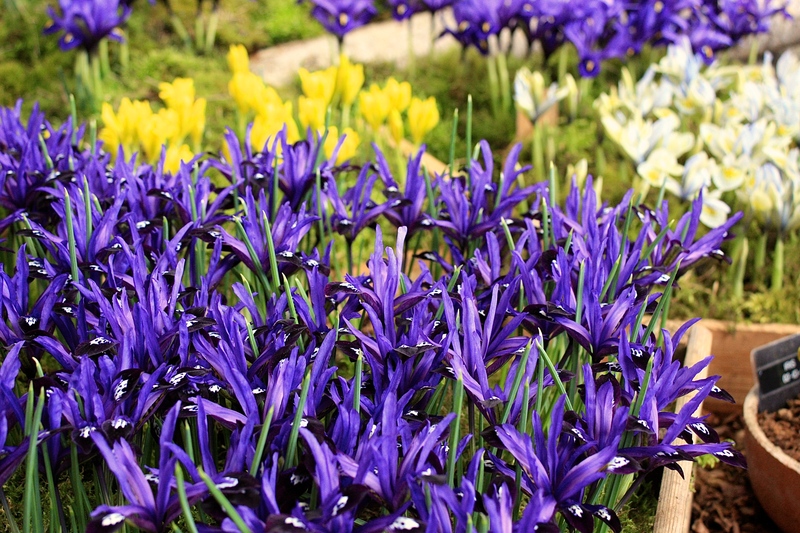 Only the colour-blind could have failed to be dazzled by Jacques Amand’s ocean of Iris reticulata varieties, including navy blue I. ‘Eyecatcher’; Wedgwood blue I. ‘Alida’; and the stunning I. 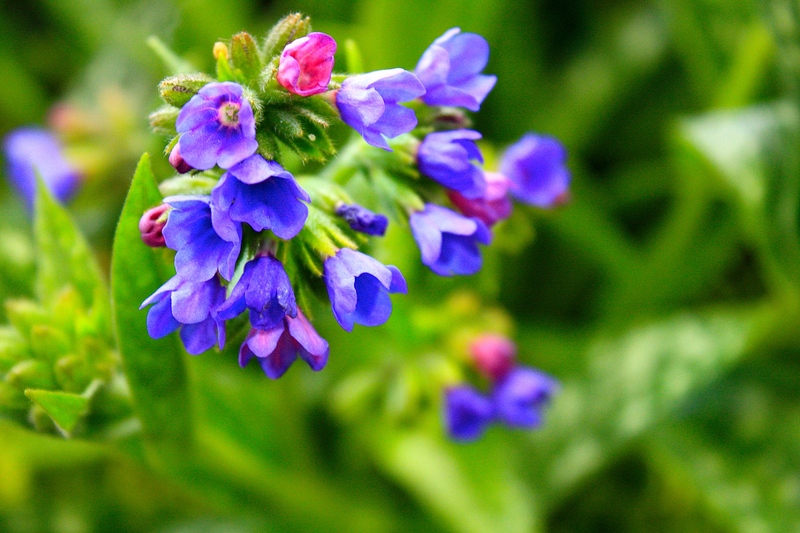 ‘Blue Note’ (above) with raven black tips to its petals. A gold medal rewarded great artistry in the design of the stand as well as A1 horticulture. Next door Avon Bulbs ably demonstrated why gardeners are fascinated by galanthus. Buxom G. ‘Melanie Broughton’ caught my eye with her fabulously broad leaves and pillowy petals – quite a lass. Among Chris Ireland-Jones’ other temptations were quirky G. ‘Trymposter’, wide-leaved G. elwesii ‘Three Leaves’ and stately G. ‘Galatea’, which stole the show for me, set against a shock of copper coloured grasses. There’s an idea one could try at home. Had I succumbed to snowdrops it might have been costly, so I moved on quickly to admire Christine Skelmersdale’s Broadleigh Gardens exhibit. Cyclamen, primulas, snowdrops, narcissi and aconites mingled with lush moss to create an Alice in Wonderland carpet of flowers (see top of post). 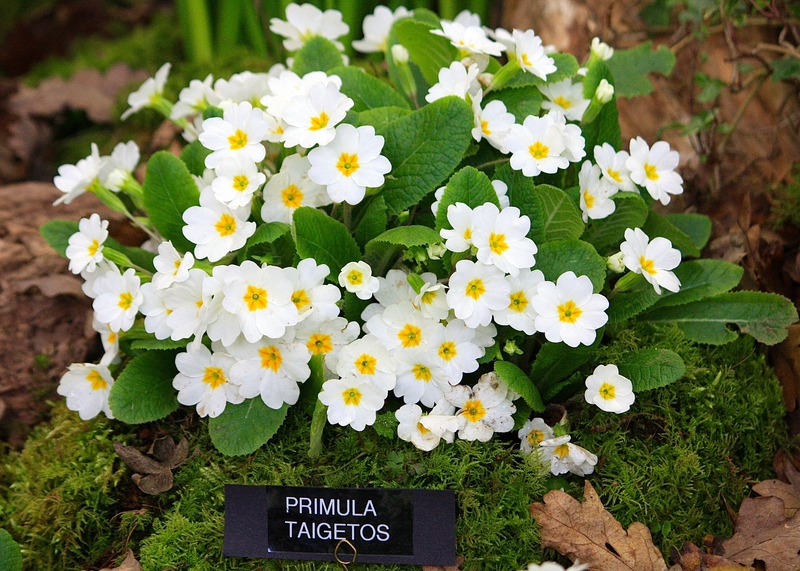 Resistance already low, I gave in to the simple appeal of a Broadleigh speciality, Primula vulgaris ‘Taigetos’, a relative of our native primrose which was collected in Greece. Milky white flowers are produced in abundance from Christmas onwards but are, alas, sterile. Mine will be planted amongst Galium odoratum, beneath a magnolia, flowering when little else in the garden is showing willing. Hardy’s Cottage Garden Plants never fail to come up trumps, this time with adorable Pulmonaria longiflora ‘Bertram Anderson’, Helleborus x hybridus ‘Anemone Picotee’ and Euphorbia subsp. 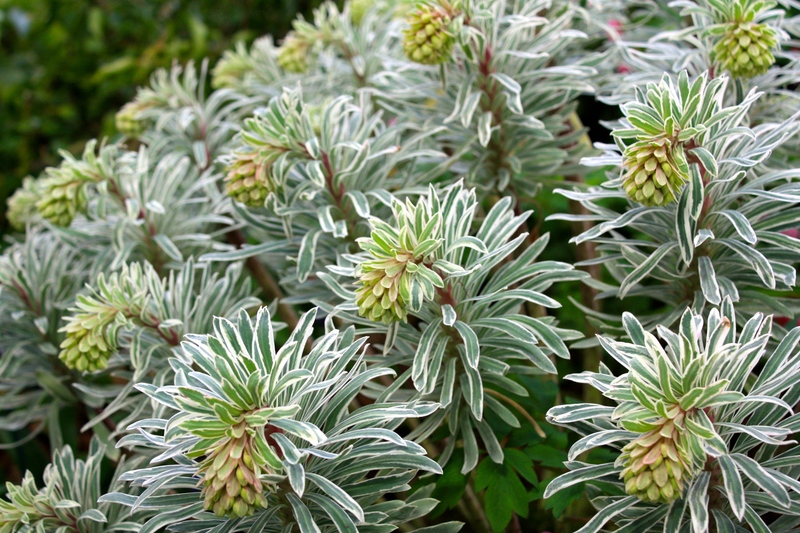 characias ‘Glacier Blue’. P. ‘Bertram Anderson’ displays vivid blue flowers from the very dawn of the year, followed by lance-shaped, dark green leaves, boldly marked with silvery spots. 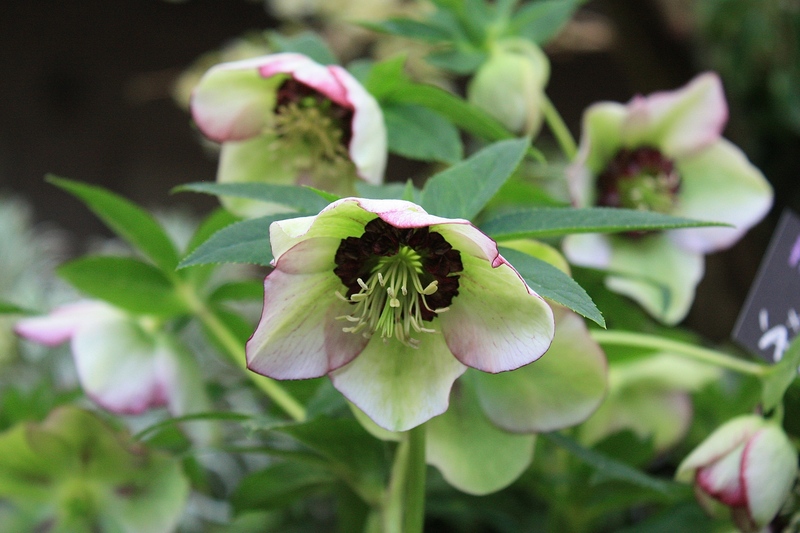 Colourful and coquettish, the plumes of E. ‘Glacier Blue’ emerge edged white on reddish stems. Stunning associations could be made with Tulipa ‘Flaming Spring Green’ or T. ‘Redshine’ against a backdrop of Cornus alba ‘Sibirica’. Whilst I could happily have done without the design element of this particular show, our leading nurseries maintained their customary high standards, sounding the starting pistol for the new gardening year. I came away laden with as many plants as I could carry, including rare and critically endangered Lobostemon belliformis from the lovely people at Trewidden. I hope to give this gorgeous South African a good home. 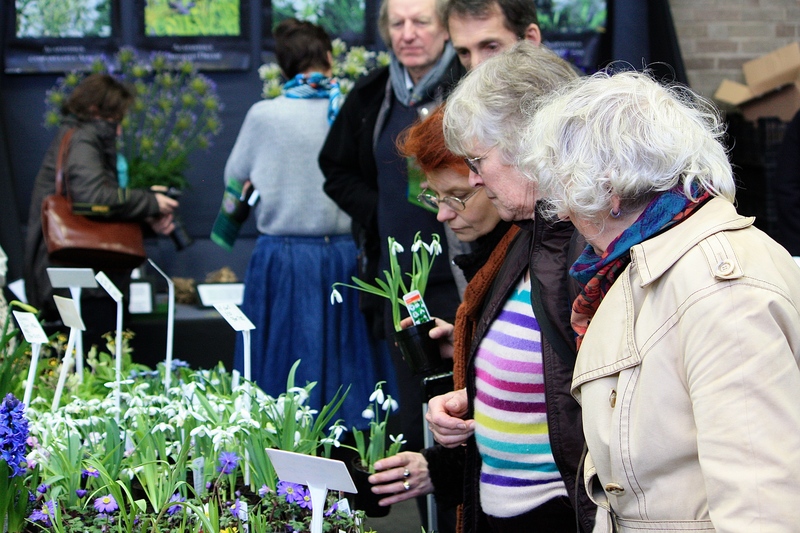 If you missed this show and are within easy reach of London, make a date in your diary for the RHS Great London Plant Fair on April 1st and 2nd. The show stays open until 9pm on April 1st, with lots of food and drink on offer. See you there! Thanks for these great images! – spring is far away for us but at least there is something to dream of. Maybe those new Iris cv. 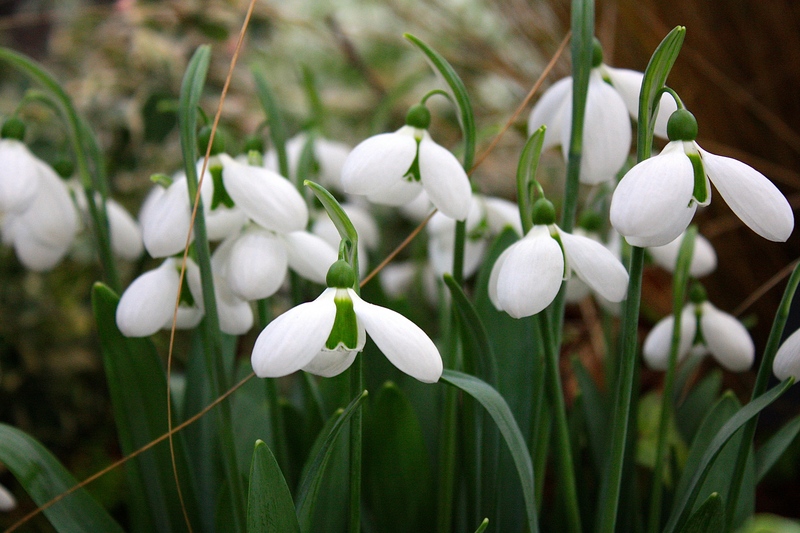 will be available here too, not a chance for the gorgeous Galanthus – I don’t think I could’ve resisted. I really wish I’d gone now, but it is lovely to sit here and look at it from the comfort of my armchair, cheaper too. I’d have spent a fortune. Beautiful irises ‘Eyecatcher’ and ‘Blue Note’ are new to me, I shall be looking for them for next year. 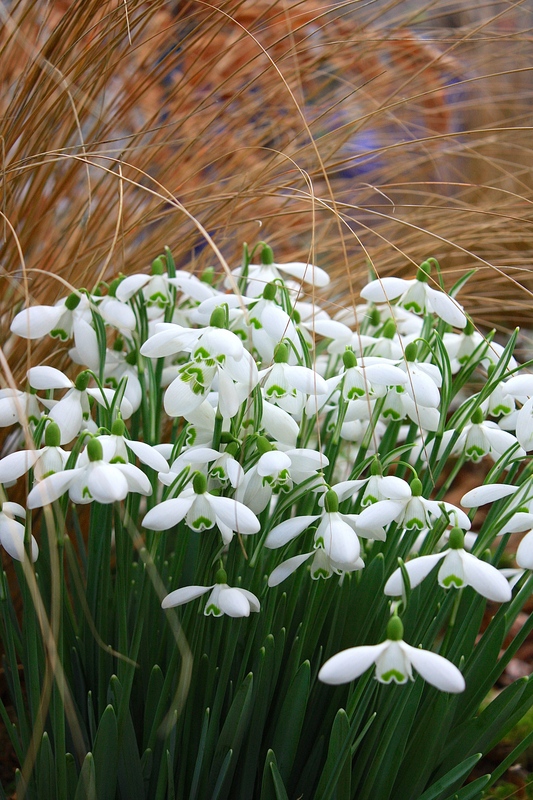 You are right the snowdrops look great with a copper Carex. That Euphorbia is fabulous. Yes,, it would look great with red tulips. Thank you. I had a complete mental block about the Carex, which I clearly did not hide very well, so thank you for jogging my terrible memory! You should try to get the to the next show, that’s normally even more dazzling! I certainly will make a point of it, thank you for the reminder. So love these ‘reports’ ..it is so interesting to hear how others see exhibits and shows….and yes, we have that South African plant in our garden! I think a challenge to grow in the wetter climes of the UK. I have planted it in the warmest, sunniest and most sheltered corner of the garden, in a raised bed with lots of grit, so if that’s not good enough for it, nothing will be! I am hoping it will get established through this summer sufficiently to survive next winter. Let’s face it, winter can’t be any wetter!! You have so many more plant shows in the UK than we will ever have here in the US. I love how the growers are also judged on their booths, which encourages them to make their displays more inviting and beautiful! I’ll have to try something like that at our next show of the American Primrose Society in May. I’ll also be on the look-out for some of those Iris…they are fantastic! Most nurseries here go to enormous lengths to create a naturalistic display, sometimes including small pools, fallen leaves logs and mosses. You’d be hard pressed to spot that the plants are actually container grown. I think this approach would work really well for primroses and other woodlanders. Reminds me of when I was small and used to create miniature gardens with moss, flowers and pebbles in a seed tray!